I had no idea that such a product like this existed until last night while browsing Amazon. No this isn’t a Kevlar vest, and it’s not a life jacket. It’s a sub-woofer that can reproduce bass frequencies that go far below human hearing ability. So how do you hear it? Well you don’t, you FEEL IT! This baby will go all the way down to 5Hz!! I’m not sure I would want to walk around listening to music with this thing, but I can imagine for certain gaming and home theater this thing being completely insane and awesome to wear. 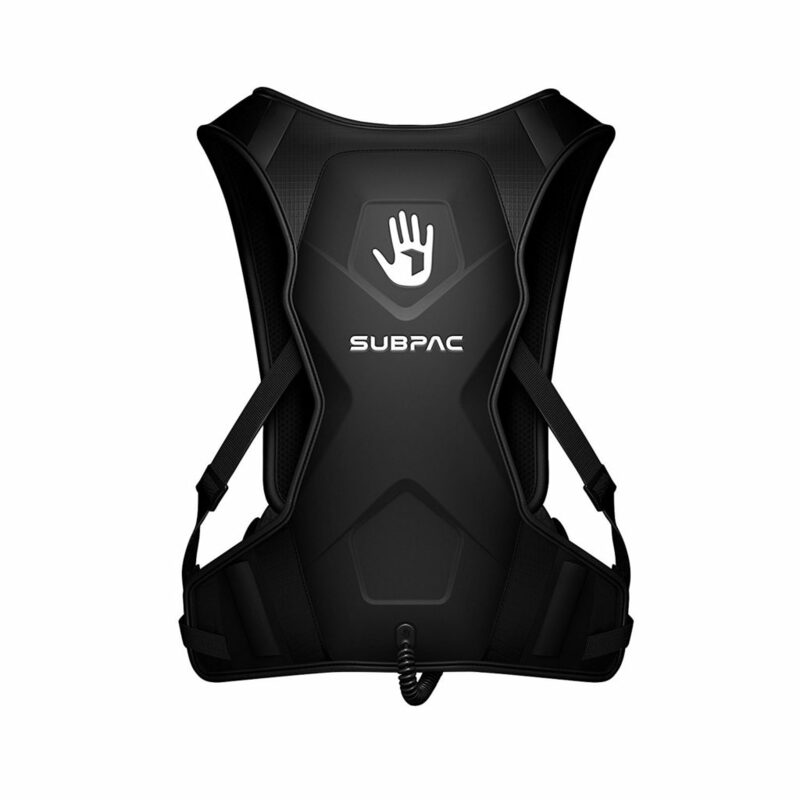 SubPac’s marketing seems to be trying to target professional audio engineers, which I think is missing their potential target, since no engineer will really want to mix with speakers or subs that completely color the sound or create unrealistic frequencies, but I really think gaming would be intense. Can you imagine explosions in a game and then feeling a 10Hz sub vibrate your entire torso in unison with the explosion? This entry was posted in Gaming and tagged subpac, subpac backpack, subpac m2, subpac pearl harbor, subpac s2, subpac subwoofer, subpack speaker, subwoofer, subwoofer amplifier, subwoofer box design, subwoofer boxes, subwoofer cable, subwoofer enclosures, subwoofer placement, subwoofer speaker, subwoofer wiring diagram on October 16, 2017 by DemonicSweaters.